Search and adopt a Weimaraner near you. 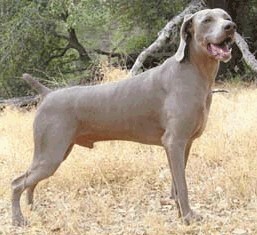 Weimaraners are fast and powerful dogs, for tracking game, such as birds and pointing. Weimaraners are easily excitable and high-strung.